Looking Out For Your Best Interests. Always. Keeping You Ahead of the Game. Always. Providing The Truest Picture of Your Company. Always. BatesCarter is a full-service CPA firm located in Gainesville, Georgia. Since 1962, Businesses, Government Entities, Not-For-Profits and Individuals have trusted BatesCarter for accounting and consulting needs. Celebrating over 50 years of serving Atlanta and surrounding areas, we strive for excellence in all we do. Exceptional service is our hallmark. Here are the top trends we predict will shape Industry 4.0 in the year ahead. Learn more about our independent membership with BDO Alliance USA. 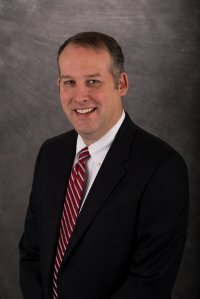 Randy Jessup, a Gainesville native, has over 19 years of experience concentrated in partnership, corporate, fiduciary and individual taxation. Randy firmly believes tax consulting should be proactive rather than reactive and that the time to learn the tax implications of a business decision is before the decision is made. He particularly enjoys tax planning and research, and consulting clients on entity selection and structure.